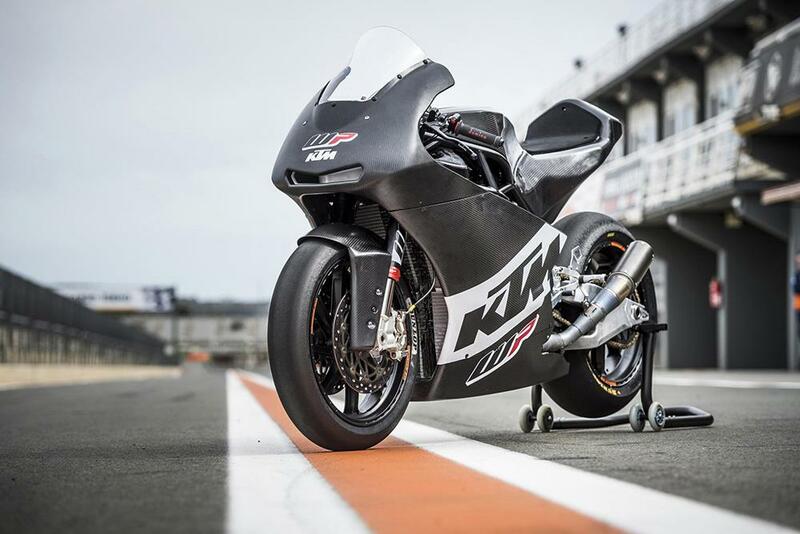 Austrian manufacturer KTM and the Ajo Motorsport squad have finally confirmed the details of their 2017 project, as the returning Miguel Oliveira will join 2016 Moto2 champion-elect Brad Binder on KTM’s new Moto2 bike. The news, first reported by MCN at the Austrian Grand Prix last month, has been widely speculated at in the paddock – and will give KTM a route from Red Bull Rookies to MotoGP in which to develop talent, a move that KTM boss Stefan Pierer says makes complete sense. And with the collaboration between KTM and the Ajo squad being incredibly successful in Moto3 in the last few years – including most likely in 2016, with title success beckoning –KTM Motorsport Director Pit Beirer says the extension of their deal was only logical. “We’ve now enjoyed five years of successful collaboration with Aki Ajo in Moto3. We are very happy that he and our main sponsor Red Bull are offering us the perfect structure to move into Moto2 so we can have a presence in all classes of Grand Prix Racing in 2017. “We see the intermediate class mainly as a platform for keeping riders in the KTM Family, which begins with the Red Bull MotoGP Rookies Cup and will run right through to MotoGP. The WP motorsports department has been fully integrated into KTM, and just as it is in Moto3 and MotoGP, the new Moto2 bike is being developed and built completely in-house.